Measures approx. 6in. x 12in. 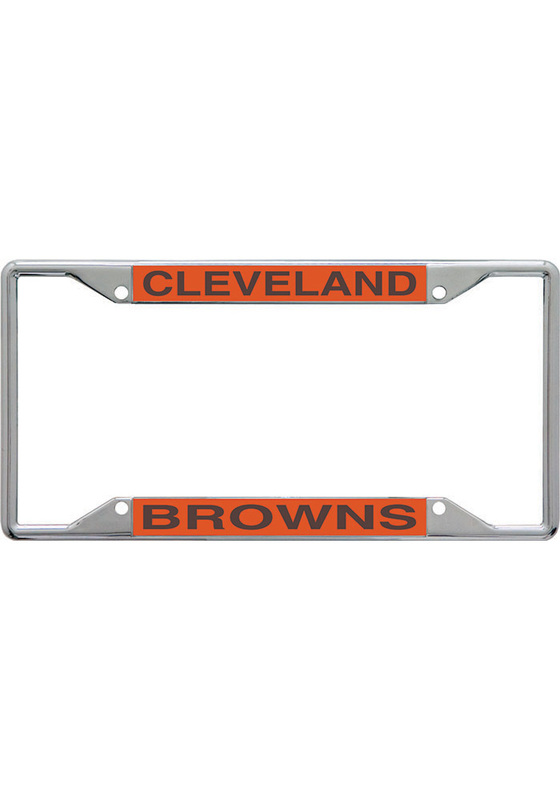 Spread your Browns pride all through town when you show off this Cleveland Browns License Frame. This License Frame features a team city on the top border and team name on the bottom border on a mirror background and will look great on any car. This is the perfect way to transform any ordinary-looking license plate into a colorful showcase of your Browns pride.Go Browns!! Classic and cool license frame adds a refined bit of flair to my otherwise plain car. 5 customers found this review helpful.